Still showing off the cute Sycamore Street DSP. This card uses the Freshly Made Sketch#78 here. I paired the DSP with the Bright Blossoms and Made For You stamp sets. Here's a quick card with yet more SAB goodies. I used the Create with Connie & Mary Sketch#243 here. 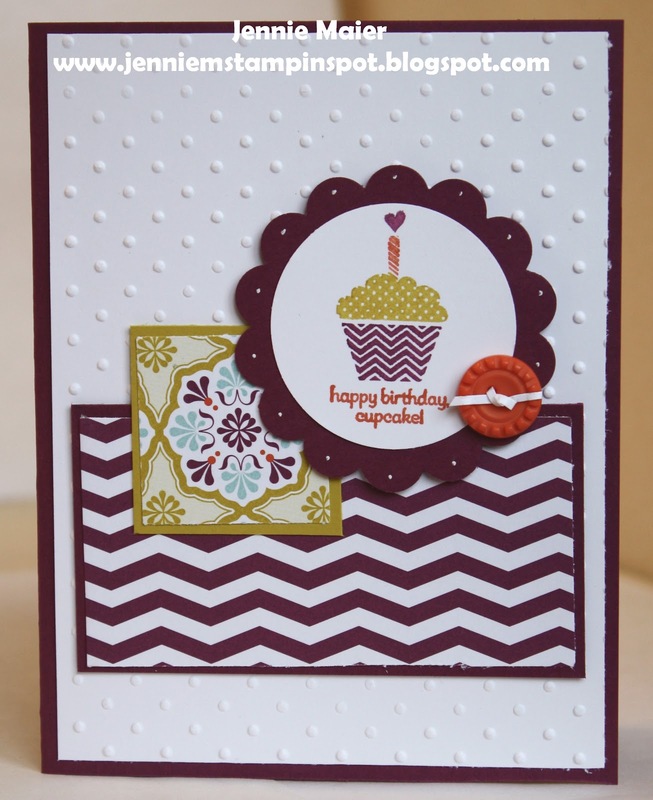 Once again, the stamp set is Patterned Occasions with some Sycamore Street DSP and Ribbon & Button pack. 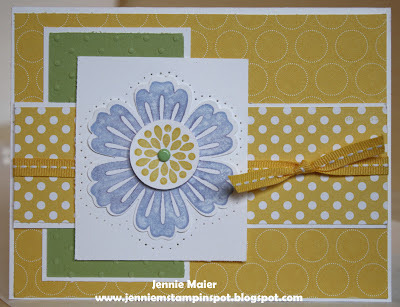 This card uses the Splitcoast Color Challenge#417 here, along with the Splitcoast Sketch Challenge#427 here. 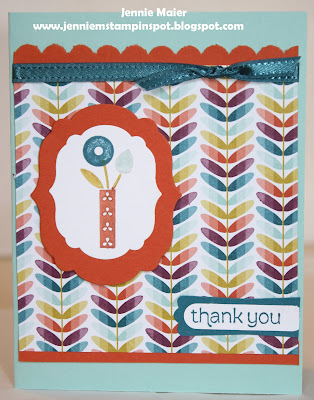 The colors to use are Daffodil Delight, Bashful Blue and Certainly Celery. Mixed Bunch is the stamp set and there's some Polka Dot Parade DSP. Life's been crazy busy with work, kids events, etc so yesterday I finally made some "me time" to stamp. Hopefully I can catch up with some challenges and stamp some more this week! I used the Freshly Made Sketch#77 here for this card. I also used some SAB goodies which are only for sale until March 22nd. 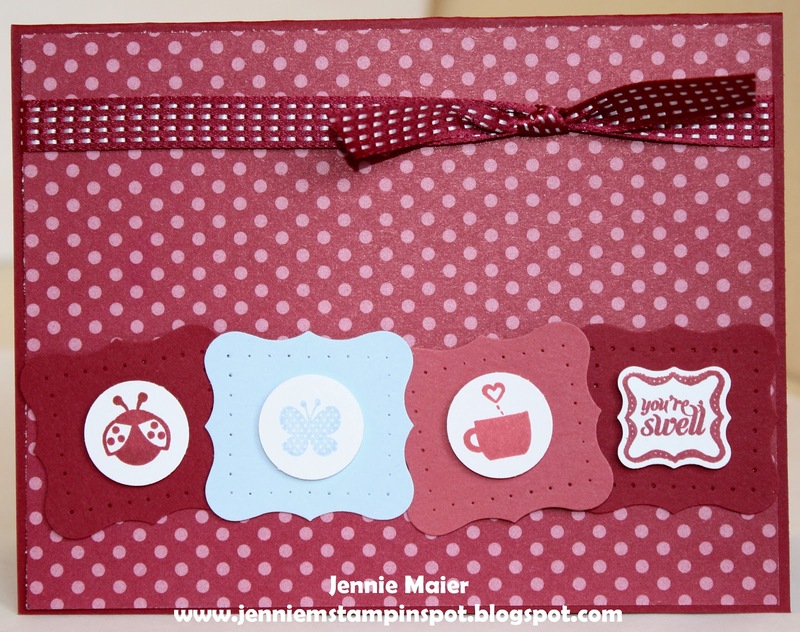 I used the Patterned Occasions stamp set with some Sycamore Street DSP and a button from the Sycamore Street Ribbon & Button Pack. This birthday card uses the MojoMonday Sketch#283 here. 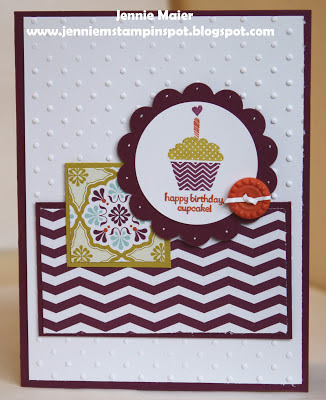 Patterned Occasions is the stamp set with some Sycamore Street DSP. 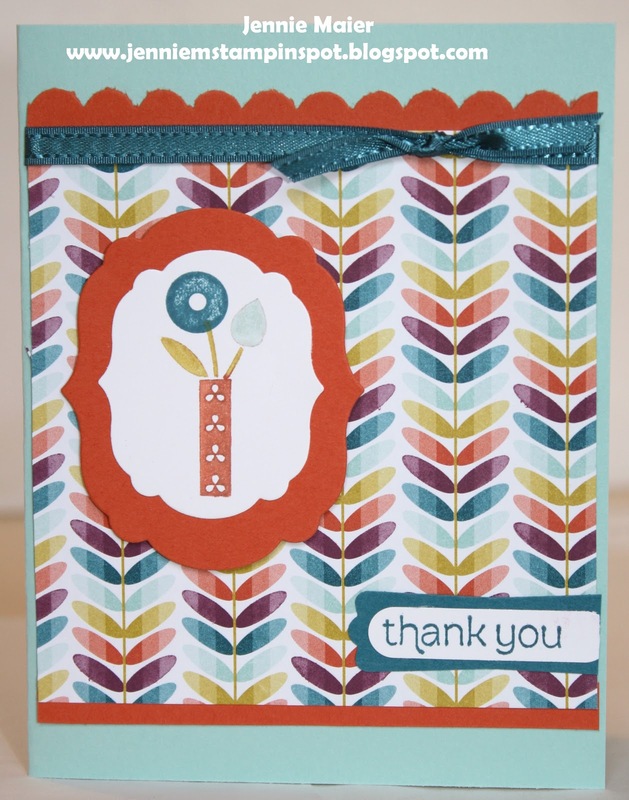 This quick thank you uses the Create with Connie & Mary Sketch #241 here, and the Splitcoast Color Challenge#416 here.The colors to use are Raspberry Ripple, Primrose Petals and Bashful Blue. 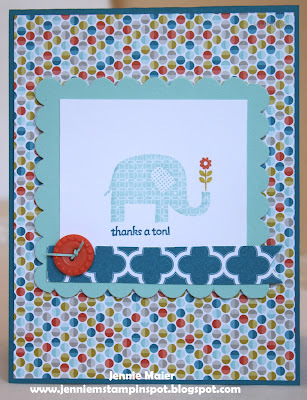 I used the stamp sets A Fitting Occasion with Ciao Baby! And some "12-14 In Color DSP Stack. Stamps: A Fitting Occasion and Ciao Baby!